Story Time: My First Pair of Jordans – redleafgoldteeth. I’ve always wanted a pair of Jordans… Nike Air Jordans to be exact for those who are living under a rock. As a passionate fanboy of both hip hop and basketball ever since my junior high days, I’ve come to understand that the excessive use of shoe references has remained a driving force for both cultures over these years. Admitting to being a victim to consumerism, I could come up with thousands of reasons why it was necessary for any sus-boi (like me) to own a pair of Jordans. As the name speaks for itself, the brand was created in a lab with the greatest basketball player to ever step on the court. Your favourite rappers wore them. Your favourite athletes wore them. Your favourite celebrities wore them. When you see a fellow fan on the street you give the said wearer a strong gaze, and maybe even fist-bump to show your respect. The hype for the Jumpman has been real. 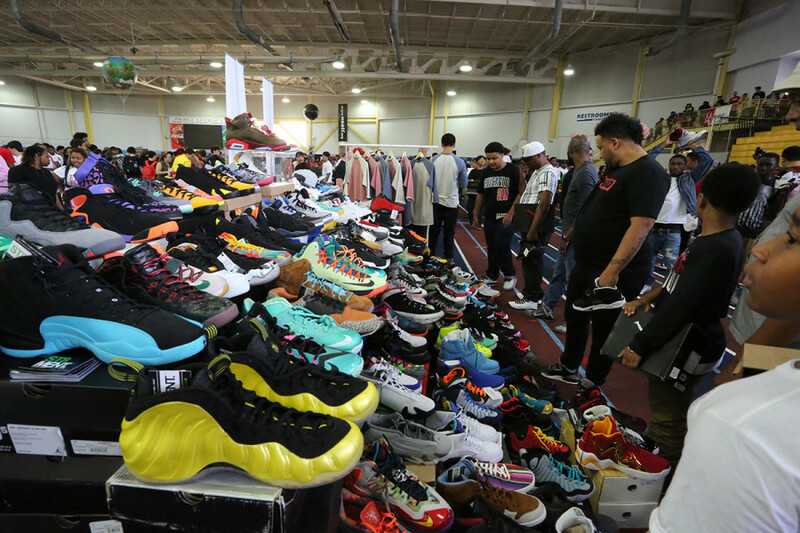 Beyond those who have the money and status, there lies a large community of like-minded individuals who care for the shoe culture (with complete devotion to the Jordan brand), to the same extent that you would imagine a Chinese man and his dependency on a wok. These are the called the ‘sneakerheads’. In no way would I call myself a sneakerhead. I like to stay fairly up-to-date with new releases and other relevant sneaker news. But if you want to enter a realm where you eat, breathe and sleep the idea of a fashionable canvas for your feet, then the sneakerhead community is the place for you. As you might imagine, almost every facet of the footwear matters for sneakerheads. The physical appearance that makes up the shoe: the tongue, laces, soles, in soles, toe caps as some examples (editors note: You gotta love some fresh aglets). There’s also the uniqueness factor that comes from the colorway or different materials (gum soles, 3M, etc.). Then we have the superficial components, which separates a decent shoe to a desirable sneaker: the price, rarity, retroness, and the undeniable influence of pop-culture . It almost seems like I’m speaking like a sneakerhead, but the reality is I’ve never owned a pair of Jordans nor do I own any pairs of shoes that would deserve a second glance from any sneakerhead. After eight long years I ended the drought. After countless trips to the mall, browsing facebook posts, forum threads, online stores and blogs for eight consecutive years I finally felt like it was time to spoil myself and cop a pair. Allow me to explain to you as to why it’s taken me this long and what it means to me to own something that I’ve admired about for many years. 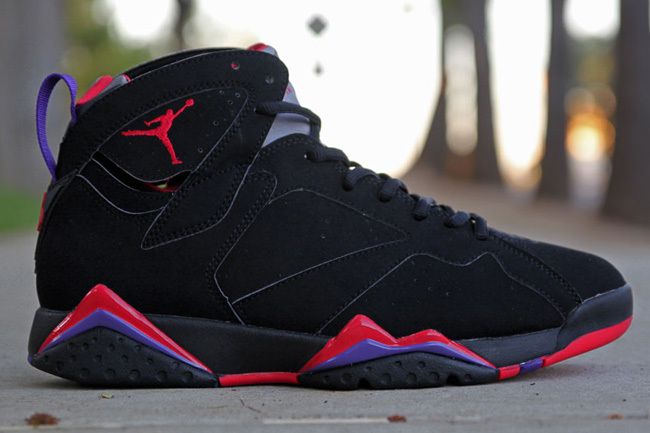 The first ever pair of Jordans that I saw that got me hooked into the sneaker game were the Jordan 7, “Raptors”. To me there were no other shoe that could compare. They were the first time I’ve ever laid eyes on a pair of 7’s. The much slimmer Jordan shoe that carried a colorway that epitomized my own style and personality had me sold. The instant attachment made me realize that these were the ones I needed… Not the ones that I deserved. The first pair of shoes I remember ever having to ask my parents to get me were a pair of Pumas that I remember very clearly. Problem was, they were sold at retail for $119.99. How could two parents who worked so hard to keep food on the table and never buy anything for themselves find a way to please their 13-year-old son? There even came a point in time where my parents had very memorable outspoken arguments and just completely sucked the energy out of the household… all because they couldn’t bring themselves to spend that much on footwear. It was that very moment that I knew that if I were to ever own a pair of Jordans, I would have to be the one to change the circumstances. Over these years I feel like I’ve successfully put myself in a good path to strive financially. Now cost isn’t a problem. I’ve purchased items that have cost way more than a pair of Jordans. It was those dark memories that scarred me at a younger age that similarly affected me the same way it did to my parents. I couldn’t get past the fact that if I indeed spent the money on them, I would feel like a huge disappointment to both me and my parents. It was then, during my latest routine mall run that I decided to do it. I walk into House of Hoops. 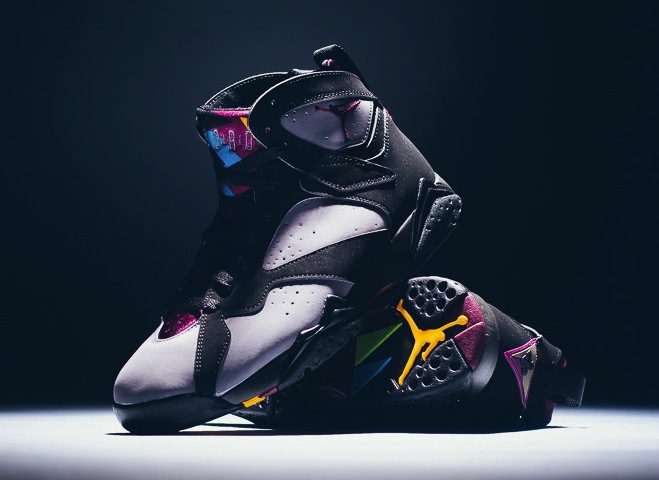 I am instantly in awe when I witness a pair of Jordan 7 “Bordeaux’s” on the shelf. No they aren’t the Raptors, but knowing the immense difference between owning a pair of Raptors vs. Bordeaux, I was perfectly fine with my second option. It was the most impulsive purchase of my life. I didn’t care about the price. I didn’t care about what they were made out of. I didn’t give a damn about the authenticity. I was ready to let go of the past, and enjoy life how it should be enjoyed. With shoes. I finally had the pair that I had always dreamed about. At the end of the day, it was the shoes themselves, it was the idea; I finally made it. The point of this story was not for me to tell you to become a sneaker-head (editors note: Do it). I’m not telling you spend tons of money to join the hype (edirots note: Also, do it). This was my story of how a single pair of shoes became one of the most sentimental acquisition thus far in my life. You might think I’m absolutely stupid and crazy for attaching so much emotion to something that will end up dirty on my feet. I’m perfectly fine with that. To each their own; you live your life, I live mine, but for now, it’s just me, and my first pair of J’s.